A dirge of the Sephardim, chanted by those taking part in the sevenfold processional circuit around the bier before interment (see Haḳḳafot), as depicted in the print by Picart, 1723, reproduced in Jew. Encyc. iii. 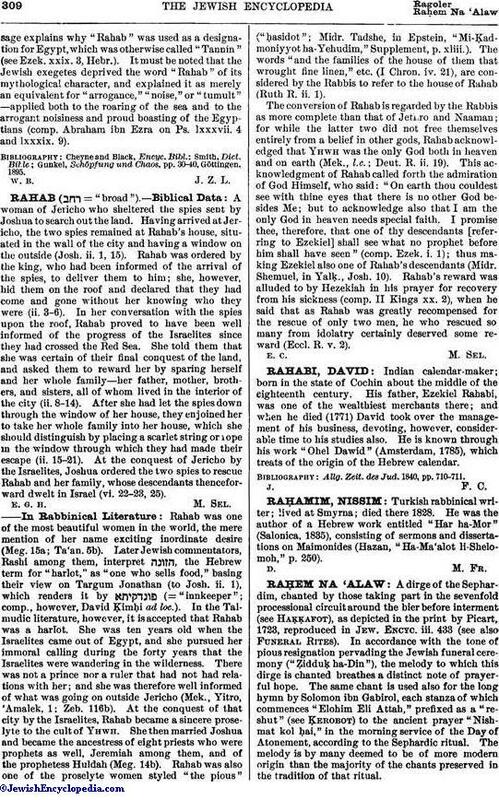 433 (see also Funeral Rites). 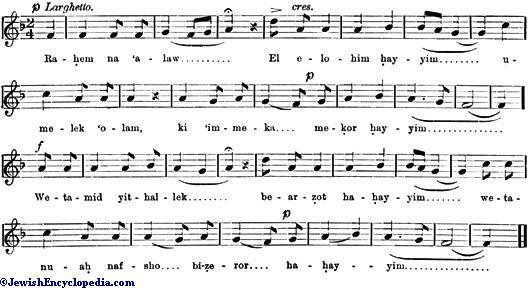 In accordance with the tone of pious resignation pervading the Jewish funeral ceremony ("Ẓidduḳ ha-Din"), the melody to which this dirge is chanted breathes a distinct note of prayerful hope. 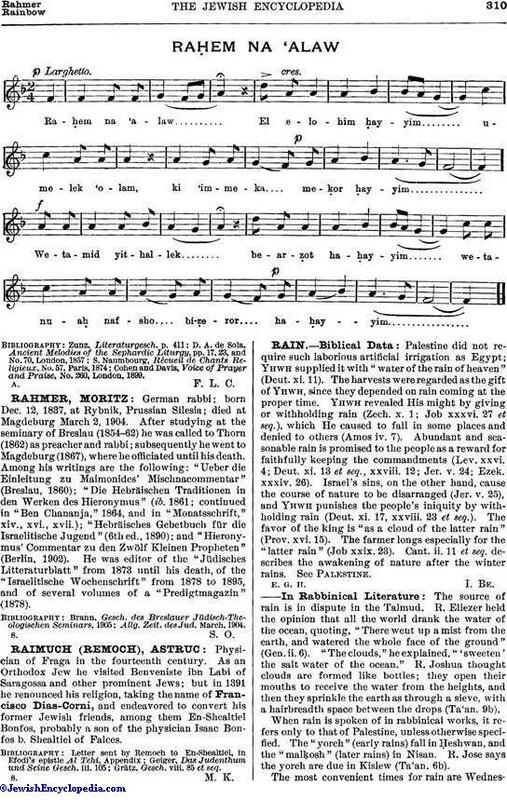 The same chant is used also for the long hymn by Solomon ibn Gabirol, each stanza of which commences "Elohim Eli Attah," prefixed as a "reshut" (see Ḳerobot) to the ancient prayer "Nishmat kol ḥai," in the morning service of the Day of Atonement, according to the Sephardic ritual. The melody is by many deemed to be of more modern origin than the majority of the chants preserved in the tradition of that ritual. Cohen and Davis, Voice of Prayer and Praise, No. 260, London, 1899.